Long ago, in a house within the woods, a girl and her older sister lived a seemingly normal life with their parents. They were a happy family, filled with love, care, and much affection. But one day, turmoil and disease fell upon the family as the mother of the two children passed away. Drunk and distraught, their father craved the romance of his lover and so turned to the only ones that could fill the void lingering in his heart. One in five girls and one in twenty boys are victims of child molestation in the United States alone. 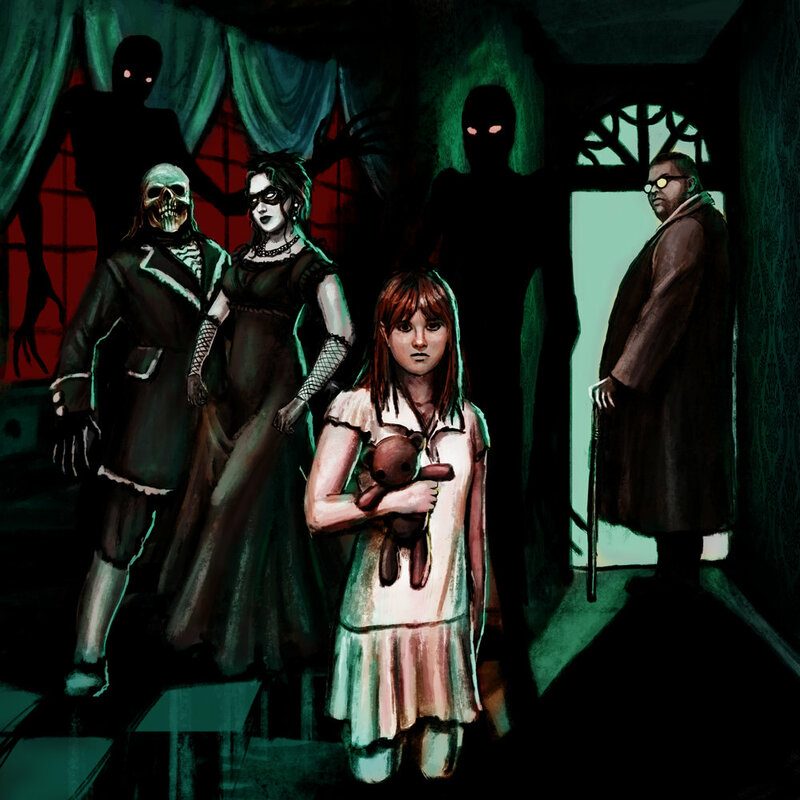 Set in a Victorian-themed home, we listen to the cries of a young girl who fears the darkness in the corners of her room. Her sister sits next to her on her bed and sings to her a lullaby that their mother used to sing to them when they were infants; a soothing tune to wash away the night terrors from their embrace. To soften her worries, the older sibling hands her a teddy bear as soft as a summer breeze. It is unfortunate that this short-lived moment would fly away like the leaves of autumn trees. All the while, the little sister's imagination continues to see... creatures. It's significance represents the abusive father of the children; that in their own home they cannot escape the evil of their father's nightly routine. It infects dreams, and damages a child's mental stability. It is through this dream that we experience the love of her guardian sister, and the Heavy Metal overtones of her nightmare. Much like Alice in Wonderland, A Song of the Night: Part I takes you on a journey down the rabbit hole of a sad and neglected child's life experience. On the other side, she wakes to another moment in time. One that does not include her beloved sister, rather, a memory. As she looks into the eyes of her plush teddy bear, she remembers that she is more powerful than the darkness. That she can light the candle and watch it burn through the night. HEY, SISTER, WHERE ARE YOU ABOUT? The wind from outside whistles so very loud. Hey, sister, I'm scared of the dark. Won't you come inside, bring me a shroud? Hey, sister, what is it you mean? The dusk brings along with it horrible things. Hey, sister, don't let them get me! I DON'T WANT TO SEE WHAT THE GLOOM BRINGS! Big sister, I can't go to sleep. The ones in the dim corner call out to me. Please, don't go, believe what I see! I see them approaching, their arms like trees. I won't let them near. Skinny legs, so tall with sharp teeth! You don't understand who is underneath! YOU ARE SERVANT TO YOUR OWN PERCEPTIONS. She was the one to be! Who are the shades that pale in the moonlight? HATRED AND GRIEF, THE SINS OF HER FATHER! Are you in her 'stead? Hey sister, I had a bad dream. There was no escape they were all after me! Hey sister, I wish you were here. My hopes flew away on your tombstone. Yet, I know you’re still beside me. Your doll is the warmth that I shield from the cold. I hold it up high and resist them! For I hear them crying from the other room. How can I convince that they’re good? Is he once the father that I knew?